HIDE YOUR SHEEP, SPYRO HAS LANDED - THE SPYRO REIGNITED TRILOGY IS NOW AVAILABLE WORLDWIDE! Spyro, the iconic purple dragon that entertained living rooms worldwide in the late ‘90s, is making an epic return today with the release of Spyro™ Reignited Trilogy. Spyro Reignited Trilogy introduces players to a fully remastered game collection with a re-imagined cast of characters, animations, environments, brand-new lighting and recreated cinematics—all in stunning HD. Now fans can glide to new heights and explore more than 100+ lush environments filled with new detail that brings the Dragon Realms and Avalar to life like never-before. The trilogy is available now for PlayStation® 4, PlayStation® 4 Pro and the family of Xbox One devices from Microsoft, including the Xbox One X. 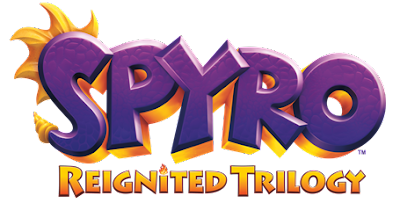 In Spyro Reignited Trilogy, lead developer Toys For Bob is giving fans an all scaled-up version of the original three Spyro games that started it all, Spyro the Dragon, Spyro 2: Ripto’s Rage! and Spyro: Year of the Dragon, but with a modern-day feel that makes it fresh and fun for today’s player. Adding to the fun, voice actor Tom Kenny is returning to the franchise as the voice of Spyro in all three remastered games. Longtime fans will be treated to Toys For Bob’s reimagined version of the classic soundtracks, in addition to an all-new title-screen theme from original soundtrack composer Stewart Copeland. Additionally, the new game brings an in-game audio feature that allows players to switchbetween the original and the newly remastered soundtracks, for those who want a more classic gameplay experience. Players can simply fly in to the “options menu” at any time during gameplay, unleash their preferred nostalgic or scaled-up groove, and glide right back into the Spyro action without losing saved data. "It’s been a real pleasure to bring back one of most iconic video game characters of all time through the Spyro Reignited Trilogy,” said Paul Yan, Co-Studio Head at Toys For Bob. “We’ve poured everything we’ve got into making sure every detail was done right to deliver a great Spyro experience for fans. We hope players will have as much fun revisiting the Spyro world and characters as we did remastering them.” In the road up to the official release of Spyro Reignited Trilogy, Activision Publishing, Inc., a wholly owned subsidiary of Activision Blizzard, Inc. (NASDAQ: ATVI), created a first-of-its-kind, life-sized, fire-breathing and talking Spyro Dragon drone. The drone took off from “Stone Hill” castle near New York City, spreading his wings across the U.S. to explore the cities and iconic landscapes that resemble levels and themes from the original Spyro games. As part of the tour, the Spyro drone chased sheep, fired up some BBQ and delivered an early copy of Spyro Reignited Trilogy to fellow O.G. and entertainment icon, Snoop Dogg. Highlights from the Spyro drone’s delivery to Snoop Dogg can be found here.